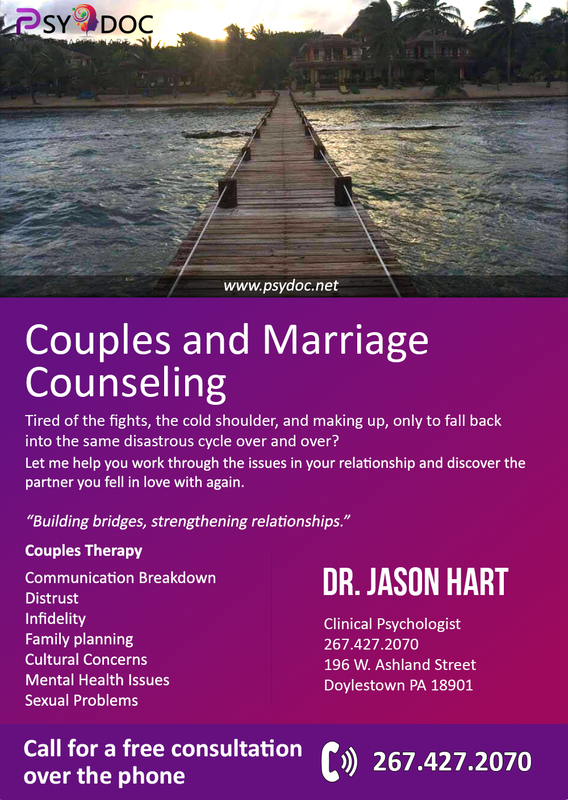 Couples therapy, also called marriage counseling, is a type of psychotherapy. Couples therapy helps couples of all types recognize and resolve conflicts and improve their relationships. 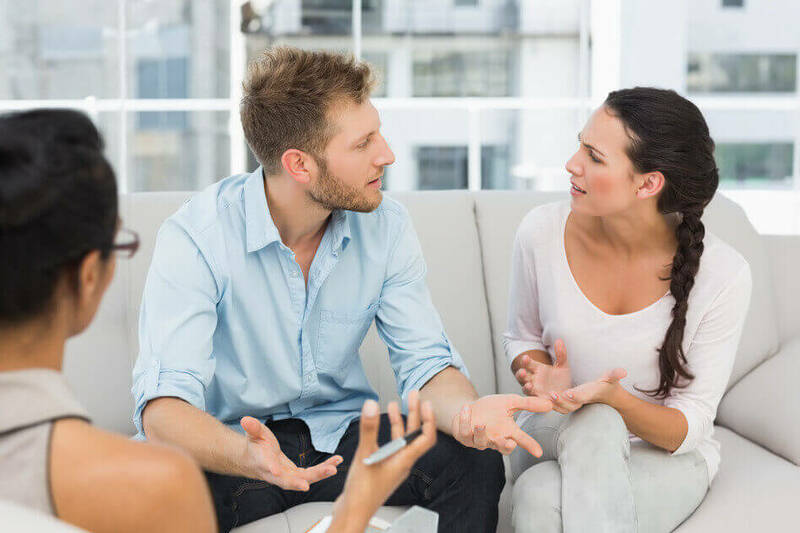 Through couples therapy, you can make thoughtful decisions about rebuilding and strengthening your relationship or going your separate ways. Couples therapy is often short term. Couples therapy typically includes both partners, but sometimes one partner chooses to work with a therapist alone. The specific treatment plan depends on the situation. Some couples seek marriage counseling to strengthen their partnership and gain a better understanding of each other. Marriage counseling can also help couples who plan to get married. Premarital counseling can help couples achieve a deeper understanding of each other and iron out differences before marriage. Nulla vitae tincidunt dolor. Morbi pretium lorem quis lacus ultricies, ac bibendum nibh cursus. Donec volutpat dolor ac nibh interdum ornare. In vel pharetra lorem. Suspendisse facilisis efficitur leo ac ullamcorper. Vestibulum porta justo non risus rutrum, sed fringilla orci luctus. Nulla facilisi. Etiam tempus, magna vel ultricies volutpat, nisi nisl fringilla sapien, dignissim pretium purus. Sed vitae magna eu dui dignissim congue at eu urna. In ut ante lorem. Donec rhoncus lobortis elit, nec gravida eros. Cras pharetra, est eget tempor rhoncus, nisl elit lobortis tellus, eu euismod tellus odio a neque. Sed placerat quis augue at luctus. Curabitur in est in diam ornare mattis vitae at magna. Etiam tincidunt convallis dictum. Sed vitae magna eu dui dignissim congue at eu urna. In ut ante lorem. Cras eget varius orci.